I warmly welcome you to this momentous occasion of the launch of the Women in Leadership Curriculum. Spearheaded by the Council of Governors and the Kenya School of Government, this Curriculum promises to usher in a new phase of value-led, transformative leadership in our country. While Kenya has witnessed a significant growth in women taking up leadership positions, we still lag far behind the minimum thresholds set for women representation. 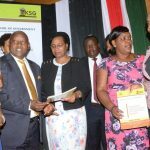 One of the salient reasons is inadequate mentorship opportunities availed to women already serving in management, technical and operational positions. 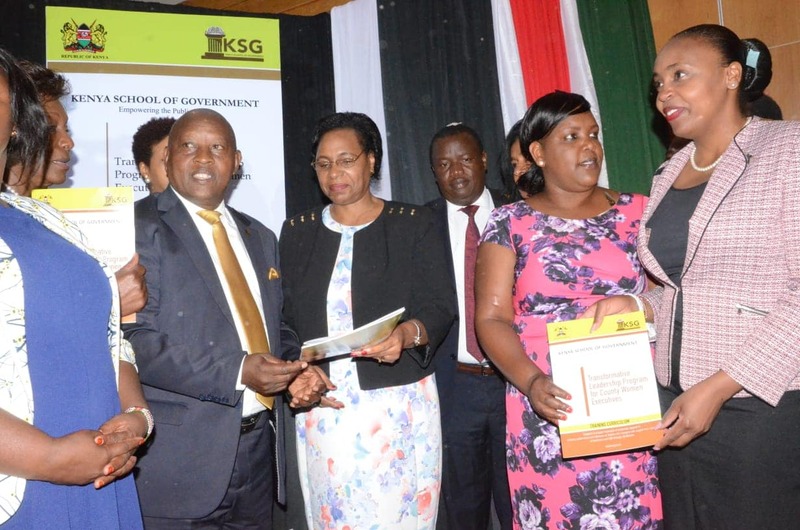 In fact, there are very few leadership programs for women serving in county governments. I am reliably informed that this Curriculum endeavours to fill the gap and usher in more women into leadership positions within the county public service. The advent of the County Governments 6 years ago presented an opportunity for equitable development and with it, entrusted a new generation of leaders to drive forward our country’s development agenda as envisioned by His Excellency President Uhuru Kenyatta’s Big 4 Agenda. This new generation of leaders must proportionately include women and girls. But, our public and corporate sector is a like a leaky pipeline that does little to retain women in jobs and decision-making spaces. This curriculum offers solutions to this problem. Among the goals of this Curriculum, is the desire to create visionary county women leaders motivated by achievements and efficiency. I am pleased to note that this curriculum unlike many others lays little emphasis on individual’s work experience, and instead inspires positive behavioural change among participants. It influences their attitudes, perceptions and support women to build strong identities. It offers practical solutions to the myriad political, social and cultural barriers that often hinder women from taking up leadership positions. As I read through the curriculum, I noticed a unique mode of delivery including the use of innovative tools to instil strategic thinking, tools designed to stimulate tactical leadership skills while others strengthen confidence, assertiveness and ability to negotiate under pressure and difficult circumstances. To this end, I would like to praise all stakeholders who developed this curriculum for giving our women and young female executives a truly transformative leadership program. It is one of the few curricular that I know of that is women sensitive and specific. In conclusion, let me emphasize that women and youth empowerment is no longer an option for county governments. It is indeed a mandatory investment with immeasurable returns. Empowerment of women shall not happen if the society, governments, professionals, you and I (and here I mean all men) do not create a suitable environment for women to take up and occupy leadership and decision-making positions at equal if not higher measure to men! Implementing this curriculum is indeed expected to contribute to women empowerment. I therefore urge the national government to support The Kenya School of Government through their devolved campuses to commence the implementation of this curriculum. To DfID thank you for financing the development of this curriculum. 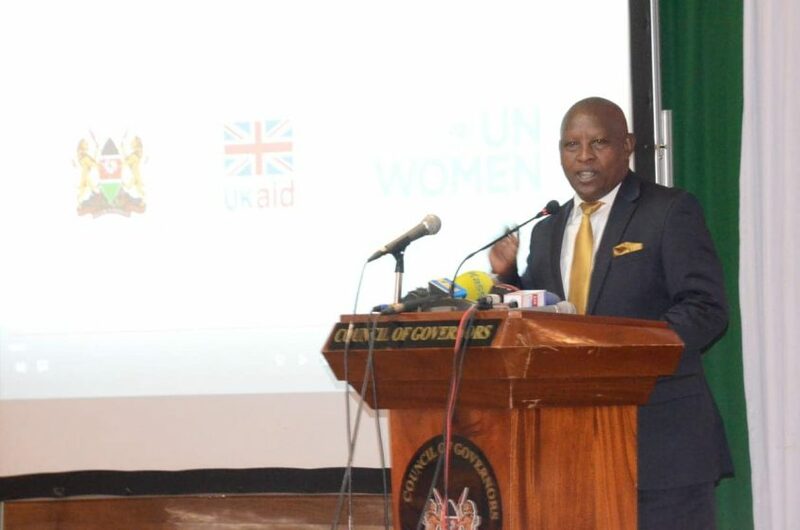 On our part, the Council of Governors is committed to supporting women executives in service to pursue this course. May I take this opportunity to point out that my Government is cognizant of the fact that the economic empowerment of women is essential in achieving accelerated growth, development and reduction of poverty levels. It is this in mind that I, upon assuming office, appointed an equal number of men and women to serve in my Cabinet. Indeed, it is a fact that my Government could be the only one out of the 47 counties where Cabinet slots are shared on 50/50 basis, meaning 5 Ladies CECs and 5 Males. This also goes down to the Chief Officers, where there are 5 women and 5 men. To cap it all, my Deputy is a Lady, Her Excellency Caroline Karugu. This is a confirmation of my committment to empower women. It is now my humble duty to invite the Guest of Honour, Prof Margaret Kobia, CS Ministry of Public Service, Youth and Gender Affairs to address you and officially launch the women in leadership curriculum. Thank you and God bless you all.